In the light of a critical analysis, the hypothesis of a deity seems discardable on account of the absence of evidence to support it. Theists and deists are at a loss when facing even the slowest standard of evidence, often citing a feeling of awe at the vastness and complexity of the universe in order to compensate for their lack of proof. One of the factors that make religions blatantly fallacious is that they do not only assert that a deity exists, but also ascribe a specific set of characteristics to this entity. The more detailed the description of a deity, the easier it is to disprove its existence. The notion of an intervening god is already hard to believe, but when this god is concerned with whether an individual of a primate hominid species relieves its sexual tension by means of masturbation, the idea acquires a grotesquely humorous flavor. The Christian god: an irreconcilable contradiction. In this respect, Christianity is the epitome of bizarreness. All Christians agree that their god is benign, in spite of his tendency to devastate entire cities. God, Christians say, loves us, he cares about each and every one of us, and knows us since the moment of our conception. His essential benignity is noticeably at odds with three other characteristics of god: omnipotence, omnipresence and omniscience. This means that god is well aware of the damage caused by slavery, plagues, famine, terminal illnesses, natural disasters, ethnic, religious and political persecution, and genocide, and that he has got the power to stop them and prevent them from ever happening again. However, he decides to look at these horrors with utter indifference. If god is almighty, human pain and suffering are evidently beyond the scope of his interests. 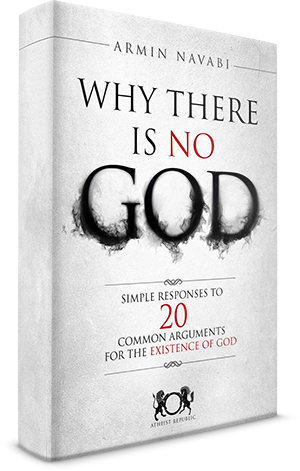 The Christian god is not only impossible by definition, but also unnecessary. The bible presents god as the creator of the universe, the designer of the human kind, and the source of morality for this tainted, impure species. The progress of science has rendered the hypothesis of a creator highly unlikely in the context of the origin of the universe, and plain absurd in the context of biological evolution. Attributing natural phenomena to the intervention of supernatural entities might have been acceptable for Bronze Age peasants, but is offensively unintelligent in the XXI century. As regards morality, commands like stoning people who dishonor their parents are enough proof that it is convenient to abstain from listening to god. 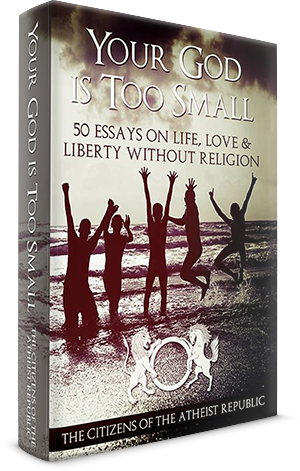 Having proven that the Christian god is impossible and unnecessary, a crucial point remains to be highlighted: god is undesirable. Even if this entity could be benevolent and almighty at the same time, even if the origin of the universe and life on earth required his intervention, he would still be the Christian god. Christians make strenuous efforts to demonstrate that their faith and doctrine are not based on the Old Testament, the first part of their holy book. Although this is true for most Christian denominations, the god they worship is the same. The benign Christian god is the same deity that flooded the world and killed the totality of its population except for one single family, sent devastating plagues on the earth, favored ethnic cleansing, commanded the stoning of homosexuals and adulterers, and encouraged the kidnapping of virgin girls as plunder. Such a bloodthirsty, megalomaniacal, unscrupulous despot deserves nothing but loathing and contempt. God is impossible, unnecessary, and undesirable.